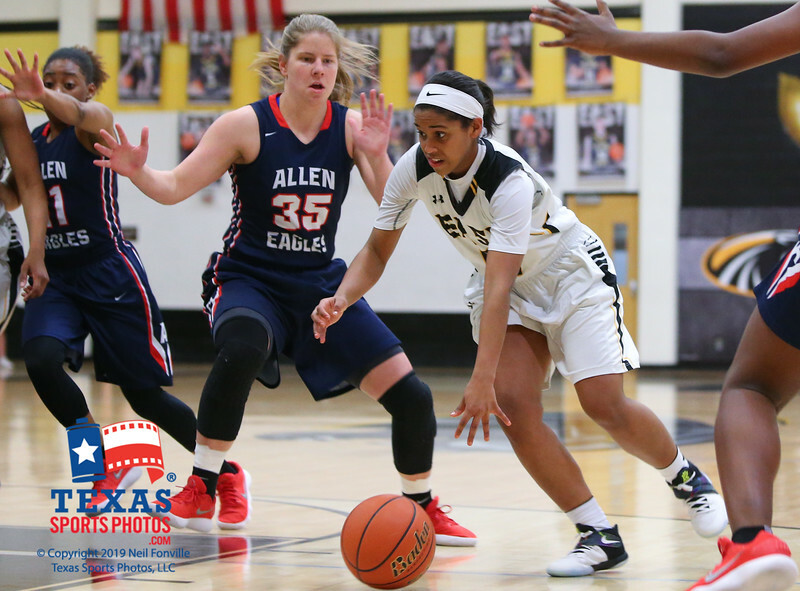 The Allen Lady Eagles won Friday's away conference game against rival school Plano East by a score of 64-40. Images are copyright of Neil Fonville / Texas Sports Photos LLC and not to be copied or reproduced without written permission. Contact us for commercial use licensing. All purchases help defray the costs of operating and maintaining our equipment. Please buy an image or two. If you have a request just sent us an email. Thanks for your business.